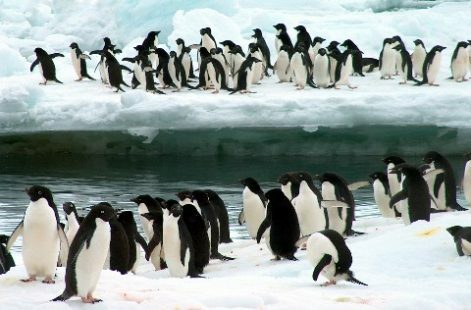 Five penguin species, King, Magellanic, Gentoo, Rockhopper and Macaroni Penguins inhabit the southwest Atlantic Ocean, which stretches from the Peninsula Valdés at about 40°S down to Cape Horn along the eastern coast of South-America, and includes the Falkland Islands/Malvinas. As part of our scientific research we have, with the exception of the Macaroni penguin, extensively studied the biology and ecology of these species. Similar studies werde conducted on Humboldt Penguins in the eastern Pacific and on Albatrosses from South Georgia. There are many general websites and references available about penguins, e.g. Wikipedia, but for our specific findings, please see below and subpages.